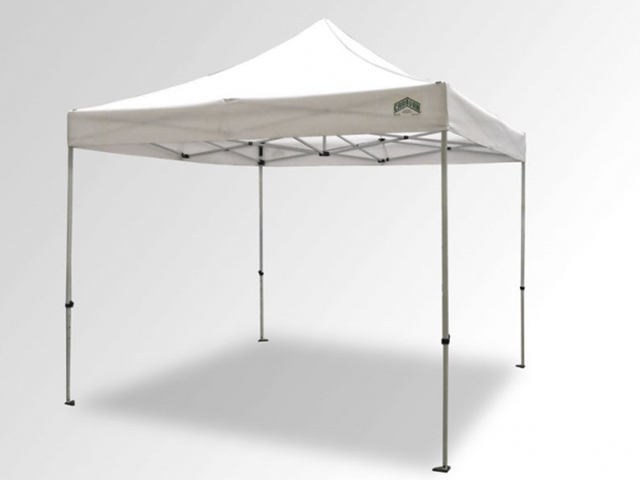 Popup 10x10 tents easily unfold and can be set up in under 5 minutes. Folds into a 5x1x1 bag for easy transportation. Comes standard with 4 sandbags for ballast. * Please call us for any questions on our pop up 10x10 rentals in Kent WA, serving the Greater Puget Sound area.